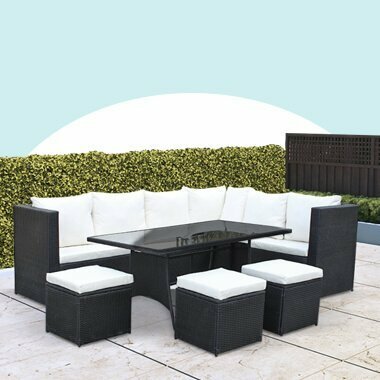 If you’re looking to add style and practicality to your garden, decking is a great solution. 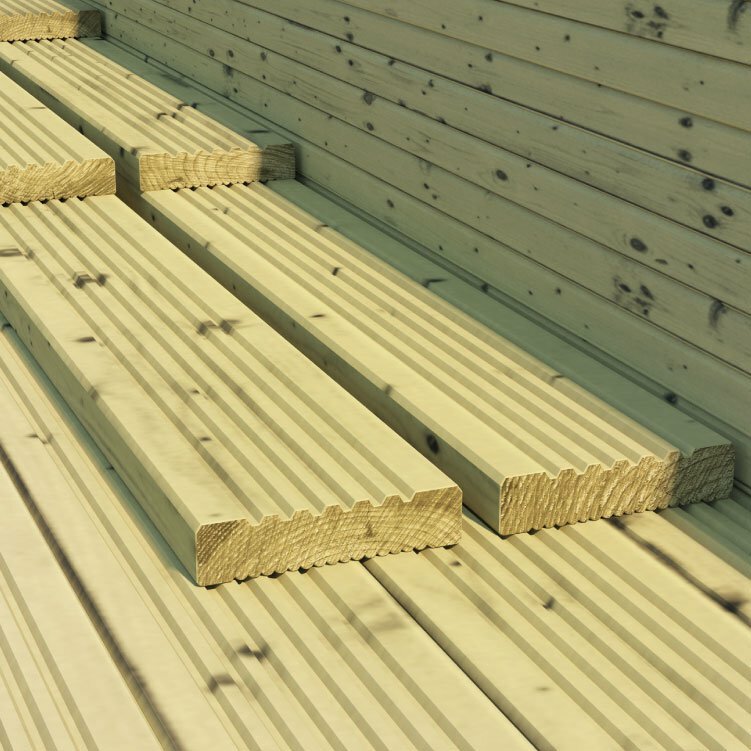 Our high-quality softwood construction provides solid and reliable decking for any garden. 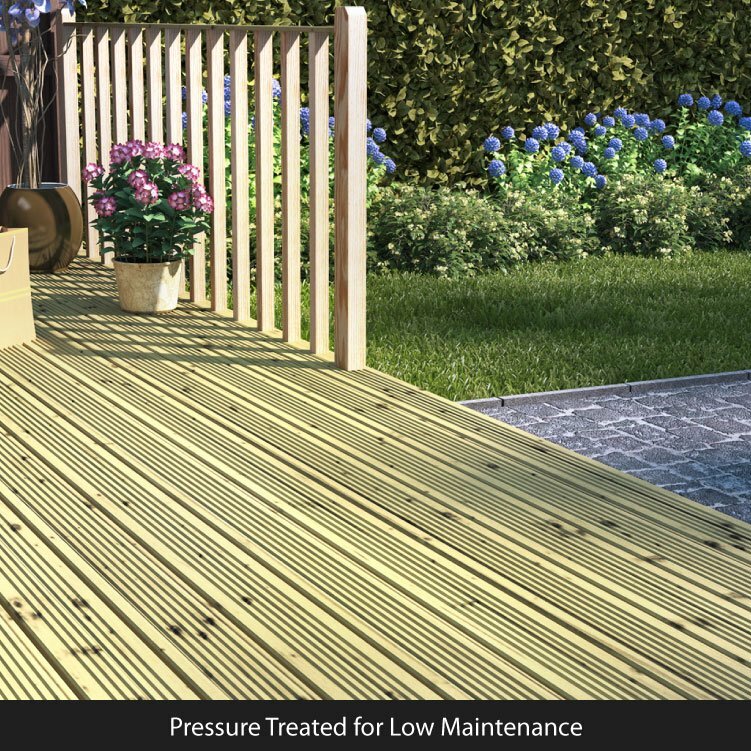 The decking has been pressure treated to offer long-lasting protection and durability. 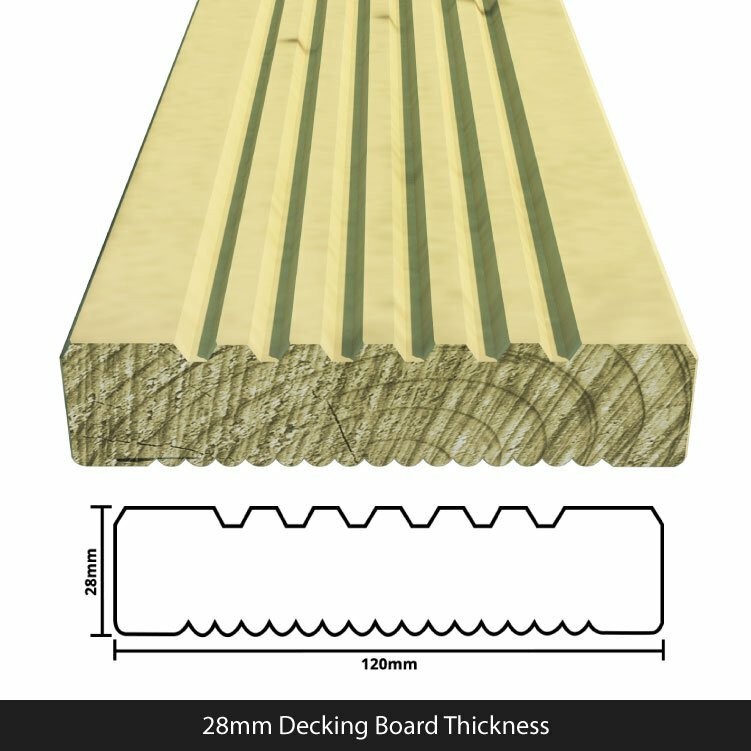 We supply 4.8m of pressure treated decking for you to install in your garden or patio. 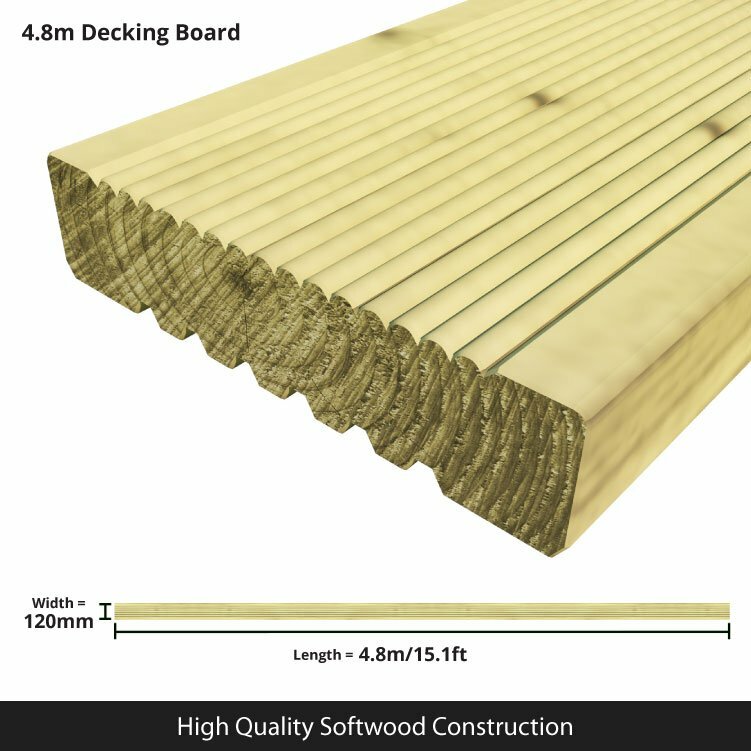 Nominal Length per Board 480cm 15'9" 480cm 15'9" 480cm 15'9" 480cm 15'9" 480cm 15'9" 480cm 15'9" 480cm 15'9" 480cm 15'9" 480cm 15'9"
Actual Length per Board 480cm 15'9" 480cm 15'9" 480cm 15'9" 480cm 15'9" 480cm 15'9" 480cm 15'9" 480cm 15'9" 480cm 15'9" 480cm 15'9"